Even with a lessening mintage, the availability of the gold 100th anniversary issues is plentiful. 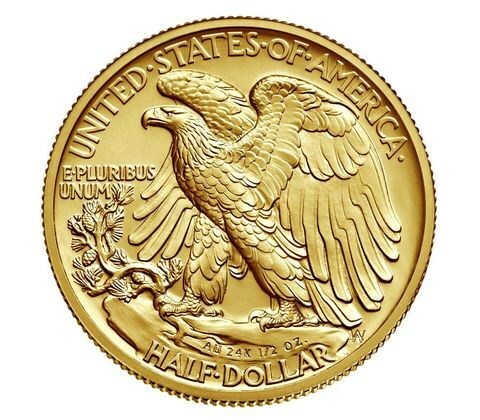 After having to use the secondary market to acquire the Mercury Dime edition of the 100th anniversary gold commem coins from the US mint, I battled on the first day of issue for the Standing Liberty Quarter ( 1/4 oz gold) coin. It turns out that there was no need for the frustration of a jammed up ordering system to acquire the SLQ edition- there are still some left in stock at the mint website. The Mint is actually even selling the SLQ for $25 less now than the original issue price. Oh well. To be honest, although a Walking Liberty Half collector, I wasn't sure I was going to buy one. I have just grown to view the coin as "correct" in its customary silver. The coin just looks a little like a caricature of its 70+ year old progenitors. So I get 2 adds for them in my email today--one from Si...towne selling original, ungraded WL gold coins at $1179...and the second from govmint ( which I confuse with the US Mint at times- at least until I see the webpage), which was selling at "just" $975. I opened a separate window and went to the US mint site--and they have plenty still in stock of the limited 70,000. The US mint cost is $865 and after a few moments to think it over I finally went ahead and got one. I don't know--I might get all 3 housed in the black retro holders--the gold looks good with the black background. Either way, even if left in their mint boxes, at least I followed my collector instinct and completed the set.